Russell Kerr: The deal will lead to a new R&D centre for marine-based natural products. Charlottetown-based Nautilus Biosciences Canada Inc., a marine biotechnology company, said Monday it has been purchased by the British specialty chemical-maker Croda International Plc for an undisclosed price. 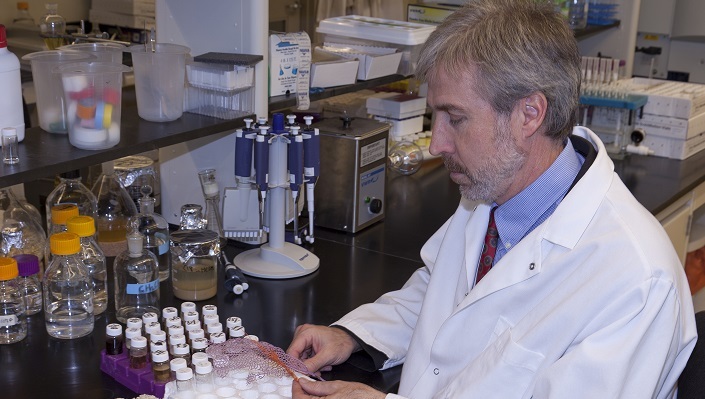 Founded in 2007 by University of Prince Edward Island Professor Russell Kerr, Nautilus focuses on using marine microbial organisms to discover new bio-medical materials and other products. East Yorkshire-based Croda now plans to use Nautilus’ operations and patents for applications across all its market sectors. Including the UPEI lab it works with, Nautilus has a staff of about 30 people. Listed on the London Stock Exchange, Croda has a market capitalization of £5.8 billion ($9.9 billion) and in calendar 2016 had sales of £1.2 billion. The company is so acquisitive that it has a tab on its website to show the companies around the world that it has purchased. He added that the P.E.I. operation aims to provide Croda with new products that it can sell. Nautilus has worked closely with Croda for the past six years, developing specific applications for skin care, hair care, and crop care. The company said Croda intends to establish the base at UPEI as a Croda Centre of Innovation for Marine Biotechnology. This location has already attracted and facilitated partnerships with many other biotechnology-based companies, said the statement, and Nautilus has exclusive global access to the Marine Microbial Library, which is based at UPEI. The Nautilus sale is the latest in a spate of exits in P.E.I. in the past year. In June, Charlottetown-based iWave Information Systems Inc. sold out to San Francisco private equity fund Sverica Capital Management LLC, after almost three decades as an independent company. Last April, global education publisher Scholastic purchased online literacy company Ooka Island. PEI BioAlliance CEO Rory Francis described the Nautilus purchase as “another important success story for the PEI Bioscience Cluster”, which two years ago announced the establishment of Natural Products Canada.